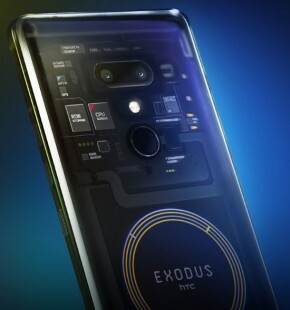 HTC's blockchain-focused phone — the Exodus 1 — will be available to buy for $699 in the US, starting in March. The Exodus 1 was initially available to buy only using cryptocurrencies BTC, ETH, or LTC. The company is also extending its Zion digital wallet with an API, which will be integrated with the Opera browser. Users can interact, transact with, and login to web services directly using their private keys held securely on their device. This includes micro-payments to content sites, for example. The Exodus 1 lets users store and track cryptocurrencies. 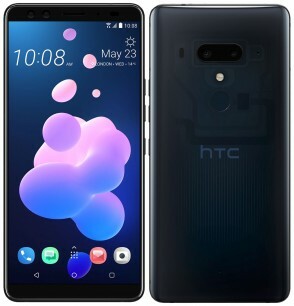 The phone, essentially identical in hardware to the HTC U12+, has a Snapdragon 845 processor, 6 GB of DDR4x RAM, 128 GB of UFS2.1 storage, Cat. 18 LTE, a 3,500 mAh battery, 6-inch quad-HD display, and IP68 water resistance. It supports US LTE networks with bands 2/4/5/12/13/41/66, plus other global LTE bands, WCDMA, and GSM. Sprint today revealed that it plans to launch a "5G mobile smart hub" at some point during the first half of next year. The device will be made by HTC. Sprint did not share the device's name, features, specs, or launch timing, but did say it will "deliver multimedia and connected data capabilities in a compact and portable design." This implies the device may be something more than a mere mobile hotspot. It will be fast, says Sprint. The device will rely on Qualcomm's Snapdragon X50 5G modem, able to deliver multi-gigabit 5G and gigabit LTE 4G when 5G isn't available. This unnamed HTC mobile smart hub will join a forthcoming 5G smartphone from LG in Sprint's initial lineup of mobile 5G devices. Sprint plans to deploy 5G in Atlanta, Chicago, Dallas, Houston, Kansas City, Los Angeles, New York City, Phoenix, and Washington, D.C., during the first half of 2019. More markets will be announced over time. Sprint competitors AT&T, T-Mobile, and Verizon Wireless are all following similar timelines for their own 5G launches. 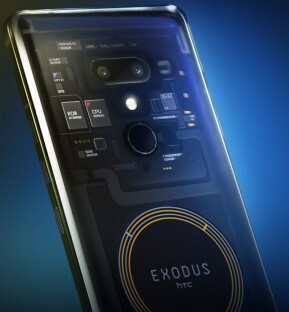 HTC made the Exodus 1, a secure phone based on blockchain, available for preorder from its web site. HTC announced the device earlier this year, but details about the hardware were few. HTC has now fully revealed the specs for the device, which include a 6-inch quad HD+ display with a 2:1 aspect ratio and a Qualcomm Snapdragon 845 processor with 6 GB of RAM and 128 GB of storage. 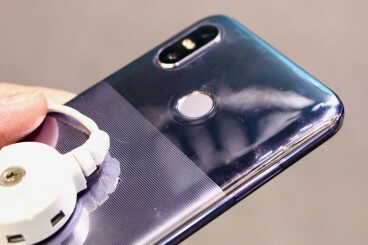 A handful of standard HTC features on board, such as BoomSound Hi-Fi speakers, Edge Sense 2 for better one-handed operation, and USonic active noise cancellation headphones. The Exodus 1 has four cameras. On back you'll find a 12- and 16-megapixel arrangement with one standard and one telephoto lens. On the front, the Exodus 1 includes a twin 8-megapixel camera setup for portrait / bokeh photos. It captures 4K video with HTC's Sonic Zoom and Audio Boost sound. The Exodus 1 boasts a CAT 18 LTE radio with 5-channel carrier aggregation and 4x4 MIMO. Supported LTE bands include 1, 2, 3, 4, 7, 12, 13, 17, 20, 28, 32, 38, 39, 40, 41, and 66. The phone has a 3,500mAh battery with rapid charging, is rated IP68 for resistance to dust and water, and runs Android 8 Oreo. Exodus works with multiple protocols with the intent of interoperability between blockchains. Each phone will serve as a node to help with decentralization. For example, HTC claims it can double or triple the number of nodes of Dfinity, Ethereum, and Bitcoin. The goal is to provide a way to facilitate cryptocurrency trading. The phone features a secure enclave, provides a trusted hardware stack with APIs that connect to wallets, and provides owners with their own identity and data stored on the phone, rather than in the cloud. HTC anticipates it will ship the phone in December to some 34 countries, including the U.S. and much of Europe. Preorders cost 0.15 BTC (Bitcoin) or 4.78 ETH (Ethereum), which are each about $960. HTC's mid-range phone has character. It comes with a two-tone finish on the rear that sets it apart from the crowd. A 6-inch display graces the front and dual cameras adorn the rear, while an average set of specs are within Here are Phone Scoop's first thoughts. 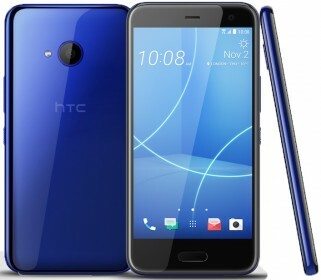 HTC today announced the U12 Life, a mid-range phone that offers the core characteristics of the U12+ in a less expensive form. The phone comes in two two-tone finishes, blue and purple. Each has a glossy surface on the rear surrounding the camera and a matte finish below the camera. The U12 Life boasts a 6-inch display with full HD+ resolution at the 18:9 aspect ratio. It is powered by a Snapdragon 636 processor with 4 or 6 GB of RAM and 64 or 128 GB of storage. The phone has a two-camera system on the rear. The main camera has a 16-megapixel sensor at f/2.0 with phase-detection autofocus, HDR, face detection, and two-tone LED flash. It is aided by a 5-megapixel camera for bokeh / portrait shots. The selfie camera packs a 13-megapixel sensor with beauty mode, HDR, and its own LED flash. The phone packs a 3,600mAh battery with power saving mode and a rear-mounted fingerprint reader for security. Other features include dual-band WiFi, Bluetooth 5.0, GPS, NFC, a USB-C port, and a 3.5mm headphone jack. The U12 Life ships with Android 8.1 Oreo and will be sold in select markets later this year. HTC says the phone will not be sold in the U.S.
HTC today made its flagship phone available in a third color option. Consumers interested in a red phone can now pick that instead of black or blue. The red U12+ carries the same $799 retail price as the others. Other than the color, the specs of the phone are unchanged. The U12+ has a 6-inch quad HD+ screen, Snapdragon 845 processor, dual cameras on front and back, and Cat 18 LTE. The red U12+ is only available from HTC.com. HTC experts the phone to ship in September. HTC took to its Twitter account today to announce that a handful of its phones will eventually receive the Android 9 update. "We're pleased as pie to confirm updates to Android Pie for the HTC U12+, U11+, U11, and U11 life (Android One). Timeframes for roll-out will be announced in due course," said the company. Google released Android 9 Pie to the Pixel phones earlier this week. Essential has also distributed Pie to its phone. New versions of Android generally appear on older phones slowly. HTC didn't specify a date for the upgrade. HTC is laying off 1,500 employees (out of 6,450 worldwide) from its manufacturing division in Taiwan. This comes after the company transferred 2,000 employees to Google in a deal earlier this year, and laid off 2,300 employees in 2015. The company has been struggling to find profitability, and has been losing market share in the mobile space for years. 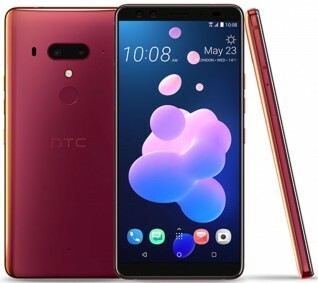 HTC's 2018 flagship is the U12+, a phone that aims directly at competing devices such as the Samsung Galaxy S9+, LG G7, and iPhone X. The U12+ sees HTC adopting the 2:1 screen aspect ratio, dialing back the bezels, and carrying over the luscious liquid design from last year's phone. With top specs under the hood, the U12+ is a compelling Android phone. We spent some time with it in person. HTC today announced the U12+, its flagship handset for the year. The phone carries over the "liquid design" from last year's U11, but updates the color selection for the metal-and-glass chassis. The device is rated IP68 and can handle short dunks in water. 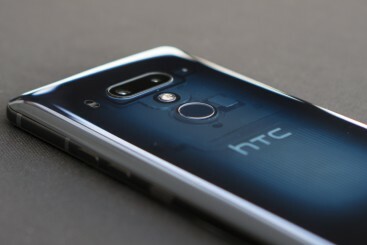 HTC created new digital controls along the side edges to help seal up the chassis. The U12+ also improves the Edge Sense pressure-sensitive sides with new controls and actions. The U12+ sees HTC catching up to its competitors with a 2:1 aspect screen. The display measures 6 inches and offers quad HD+ resolution (2,880 by 1,440 pixels). The Super LCD 6 panel is protected by Gorilla Glass and supports HDR 10 video playback. Like most of today's flagship devices, the U12+ is powered by the Qualcomm Snapdragon 845 processor. The phone includes 6 GB of RAM and comes with either 64 GB or 128 GB of storage. It supports microSD memory cards up to 2 TB. HTC made big changes to the camera. The U12+ features dual cameras on the rear and the front. On back, the main camera has a 12-megapixel, wide-angle sensor at f/1.75 and a secondary 16-megapixel telephoto sensor at f/2.6. HTC says the camera includes UltraSpeed Autofocus 2, which is a hybrid of phase detection and laser autofocus. The phone supports optical zoom up to 2x and digital zoom up to 10x. Other camera features include HDR, bokeh portraits, face detection, and pro mode with RAW capture. The front has two identical 8-megapixel cameras at f/2.0 with support for bokeh portraits, HDR, face unlock, live makeup, AR stickers, and panorama selfies. The video camera includes a feature called Sonic Zoom, which will tweak the microphones to focus more narrowly when users zoom in on a subject. It can capture 4K video and includes OIS, 360-degree 3D audio capture, slow-motion, and time-lapse. Like the U11, the U12+ includes both Google Assistant and Amazon Alexa, which can be called up via the Edge Sense gestures. HTC tweaked its BoomSound speaker system to deliver 30% more sound and a better balance between the top and bottom speakers. The phone ships with HTC's USonic headphones with active noise cancellation. Other specs include NFC, Bluetooth 5, USB-C, 3,500mAh battery with rapid charging, and dual-band WiFi. As for network support, the U12+ is being sold as a single global unit with wide support for LTE networks. It includes Cat 18 LTE with support for U.S. bands such as 29 for AT&T and 66 for T-Mobile. HTC says the phone is fully certified to run on Verizon's network. The U12+ will go on sale over the course of the next few weeks. Pricing will be in line with other flagship devices, says HTC. 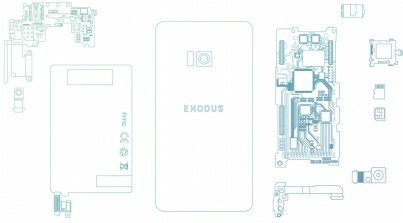 HTC today pulled back the curtains on Exodus, a forthcoming phone based on blockchain. "Our vision is to expand the blockchain ecosystem by creating the world’s first phone dedicated to decentralized applications and security," said the company. "With the release of the HTC Exodus we can now make this a reality." HTC explained that Exodus will work with multiple protocols with the intent of interoperability between blockchains. Each phone will serve as a node to help with decentralization. HTC believes it can double or triple the number of nodes of Dfinity, Ethereum, and Bitcoin, for example. The goal here will be to provide a way to facilitate cryptocurrency trading. The phone will feature a secure enclave, provide a trusted hardware stack with APIs that connect to wallets, and provide owners with their own identity and data on the phone, rather than one stored in the cloud. 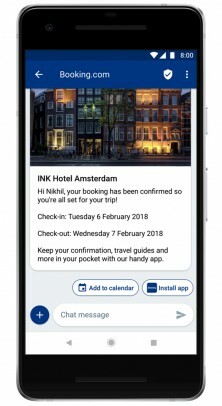 HTC also hopes to increase the user base for DApps on mobile devices. The effort is being led by Phil Chen, HTC's decentralized chief officer. HTC didn't say when the device might reach the market. 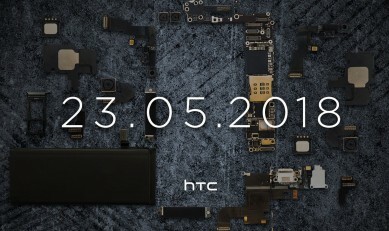 HTC today revealed that its next phone will be announced on May 23. The company didn't say what features the phone might have, other than to suggest it is "a phone that is more than the sum of its specs." The image that accompanies HTC's announcement clearly shows a handful of components, such as two cameras, a battery, and a processor. HTC hasn't announced a flagship handset since the U11, which debuted at about this time in 2017. Under Armour says the data of about 150 million people was taken from its MyFitnessPal app and web site. MyFitnessPal is a popular tool for managing diet and exercise. The company says it noticed unauthorized access to its servers by a third party on March 25 and immediately took steps to investigate the issue. Under Armour believes the hackers made off with usernames, email addresses, and hashed passwords. Data such as social security numbers, driver's license numbers, and payment card data was not accessed. Under Armour began notifying impacted users within several days of the breach. The notice provides users with recommendation on steps they can take to protect their information. Under Armour is encouraging all users to change their passwords immediately. The investigation into the nature of the breach is ongoing and Under Armour will provide more information as it is available. Customers can find more information on a FAQ posted to the company's web site. In 2016, Under Armour partnered with HTC to create a fitness-focused Health Box, which included a smart scale that could talk to apps on HTC phones. Cricket Wireless today kicked off a new promotion that drops the price of some smartphones to $19. Customers who switch to Cricket between March 9 and March 16 can buy the Samsung Galaxy Halo 16GB or 32GB, Samsung Amp Prime 2, LG X Charge, LG Stylo 3, or the HTC Desire 555 for $19. Cricket says the promotion is to celebrate its 19th birthday. A number of other promotions are still available and can be combined with the $19 phone offer. For example, customers who switch to Cricket and sign up for the Unlimited 2 plan (normally $55/month) can get a $10 bill credit each month for up to a year, in addition to a $5 monthly Auto Pay credit. These discounts drop the monthly cost to $40. The Unlimited 2 plan offers unlimited calls, messages, and data in the U.S., Mexico, and Canada. The company is also offering four lines on the Unlimited 2 Plan for $100. Details are available on Cricket's web site. HTC today said Chialin Chang, President of Smartphone and Connected Devices Business, has resigned effective immediately. The only reason given for the departure pertains to Chang's "personal career plan." The company did not name a replacement. Chang joined HTC initially in 2012 as the company's CFO, though he later transitioned to the smartphone business. Google completed its purchase of a large portion of HTC's smartphone design team last month. HTC says it will continue to make smartphones and is widely expected to debut a new flagship device in the next month or two. If or how Chang's departure impacts those plans is unclear. HTC today announced a limited promo that will see the cost of its flagship U11 smartphone drop by $100. The lower price will be in effect from February 1 through February 15. The U11 is notable for its squeezable side edges that can be used to call up certain features and actions. Google today said it has completed its proposed acquisition of select assets from HTC. The deal includes portions of HTC's handset design team, among other properties. Google worked with HTC to develop the Pixel 2 smartphone, which was released last year. "As our hardware business enters its third year, we remain committed to building and investing for the long run," said Rick Osterloh, Google's senior vice president of hardware. "Today, we start digging in with our new teammates, guided by the mission to create radically helpful experiences for people around the world, by combining the best of Google’s AI, software and hardware." HTC's hardware team will remain in Taiwan, as Osterloh said the acquisition marks Google's official expansion into Taipei, now the largest Google engineering site in the Asia-Pacific region. HTC said that Sprint will begin pushing the Android 8 Oreo system update to its variant of the HTC U11 starting today. The news was shared by HTC executive Mo Versi on Twitter. Android 8 Oreo includes notification dots, picture-in-picture, and auto-fill. The new code from HTC also includes other bug fixes and tweaks. Though the update is available today, it may take up to a week to reach all users. 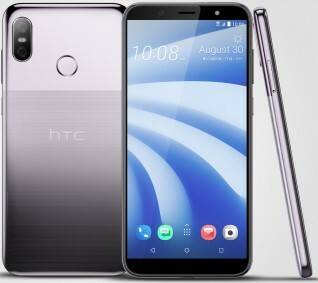 The unlocked and T-Mobile variants of the U11 were updated to Android 8 late last year, as were most variants of the HTC U11 Life. HTC still plans to distribute Android 8 Oreo to the HTC 10 and U Ultra. Amazon has updated its Alexa mobile app for Android devices with the ability to support voice requests. Until today, the app was merely a tool used to manage in-home, Alexa-powered devices such as the Echo and Echo Dot. Now, Android smartphone owners can issue voice commands to Alexa from their smartphone in order to access playlists or tap into Alexa’s various skills. The app does not support wake word functionality, which means people will need to open the app in order to make voice-based requests. The updated Alexa app with voice control is available from the Google Play Store and the Amazon App Store. An update for Alexa for iOS devices is still in the works. Phone makers HTC and Huawei have already taken steps to add Alexa to their devices, such as the U11 and Mate series handsets. This update brings Alexa voice functionality to devices without special hardware requirements. Alexa is free to download. Qualcomm today said a number of leading handset makers have adopted its radio frequency front-end. Some of the OEMs include Google, HTC, LG, Samsung and Sony Mobile. This means these smartphone manufacturers will rely on Qualcomm's hardware to ensure their devices can talk to wireless networks. This is particularly important for T-Mobile, as the RF front end provides comprehensive 600 MHz band (B71) support. T-Mobile is deploying LTE on its 600 MHz spectrum now and plans to use it for 5G service down the road. The RF front end includes a modem-to-antenna system using the new QPM26xx series gallium arsenide-based power amplifier module. The module contains duplexers, envelope tracker, antenna tuners, antenna switches, and discrete and integrated filter modules. Qualcomm says its RF front end supports features such as Gigabit LTE, 4x4 MIMO and LTE Advanced today, and will evolve to handle 5G technologies in 2019. Owners of the T-Mobile variant of the U11 Life smartphone can expect to receive the Android 8 Oreo over the coming days, according to HTC. HTC has made the system update available and will roll it out beginning today. It may take up to a week to reach everyone. 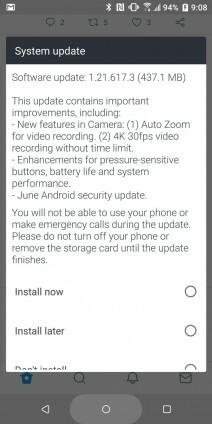 The unlocked version of the U11 Life was updated to Oreo last month. Other HTC handsets on deck to receive Android 8 Oreo include the 10 and U Ultra. Google today made its monthly security patch available to some Android devices. December's patch plugs a handful of security holes. Google found a dozen or so vulnerabilities, most of which were classified as moderately dangerous, or able to execute code remotely. Google is pushing a patch dated December 5 to resolve these issues. Google said the Pixel, Pixel XL, Pixel 2, Pixel 2 XL, Pixel C, Nexus Player, Nexus 5X, and Nexus 6P devices will receive the December security patches directly over the air. The factory images will be available for download from Google's developer web site shortly. As far as Google knows, none of these security holes have been exploited. Google has already supplied the patches to its handset partners. The recent release of the Google Pixel 2 means Sprint customers have access to 10 handsets that support HPUE. Sprint has been deploying HPUE tech on its 2.5 GHz spectrum since late last year. The primary benefit is better performance (higher speeds, more capacity) at the cell edge. The result is a wireless experience more like that of Sprint's mid-band 1.9 GHz spectrum. The devices able to access HPUE include the Samsung Galaxy S8/S8+, and Note8; the LG G6, V30+, and X Charge; the ZTE Max XL and Warp 8; the Motorola Z2 Force; the HTC U11; and the Pixel 2. Apple has yet to release any iPhones that support HPUE. Sprint said it expects to offer many more HPUE devices before long. Cricket Wirelss today said it has expanded its retail footprint to 122 post exchanges on U.S. military bases. This includes 83 Army and Air Force bases, 14 Marine exchanges, and 26 Navy exchanges. 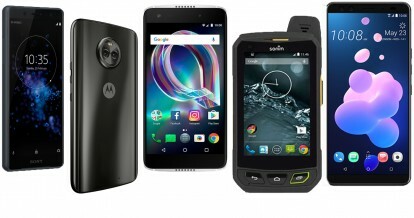 Servicemen and servicewomen will be able to purchase Cricket Wireless handsets, including the Risio 2, CoolPad, HTC Desire 550, and Sol 2, at their local exchange and enroll in Cricket’s low-cost, prepaid wireless service. Post exchanges will also offer SIM cards for bring-your-own customers. Google today said it has agreed to purchase HTC's Pixel smartphone business, as well as acquire some employees and license intellectual property, for $1.1 billion in cash. HTC's Pixel engineers will be added to Google's existing hardware organization, where they will continue to work on the Pixel smartphone line. "In many ways, this agreement is a testament to the decade-long history of teamwork between HTC and Google," said Rick Osterloh, former Motorola executive and current senior vice president of Google's hardware business. "Together, we've achieved several mobile-industry firsts, including the first ever Android smartphone, the HTC Dream / T-Mobile G1; as well as the Nexus One in 2010, the Nexus 9 tablet in 2014, and the first Pixel smartphone just last year." Osterloh said Google will continue to focus on its core capabilities, creating hardware that takes advantage of Google's software. HTC will retain its actual smartphone business. In a statement, HTC said the company "will continue to have best-in-class engineering talent, which is currently working on the next flagship phone, following the successful launch of the HTC U11 earlier this year." HTC will also retain its Vive-branded virtual reality business and invest in next-generation technologies, such as the internet of things, augmented reality, and artificial intelligence. The companies did not say when they expect the deal to close. HTC will cease trading shares of its stock in anticipation of a significant announcement to be made tomorrow. The news was first revealed by the Taiwan Stock Exchange, which said "shares of HTC Corporation ... will be halted starting from Sept. 21, 2017 pending the release of material information." HTC confirmed the halt in share trading, but did not provide a reason behind the action. Earlier this month, Bloomberg suggested that Google might acquire HTC, or a portion thereof. It is possible that HTC plans to announce a takeover by Google during the announcement, which is being made town-hall style at its Taipei headquarters. The company's response to the Taiwan Stock Exchange alert read, "HTC does not comment on market rumor or speculation." HTC, once a dominant maker of Android handsets, has been fading for years in the face of competition from Samsung, LG, Huawei, ZTE, and others. The company's financial health has been in question many times due to weak sales. HTC never stopped making compelling smartphones, such as the One series, the U11, and Pixel devices for Google. Google may want to bring HTC's handset division under its wing for future Pixel smartphones. 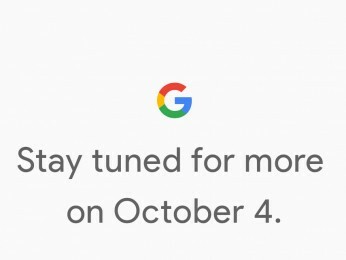 Google today kicked off a teaser campaign for a phone-based announcement that will take place on October 4. The company launched a web site with the address of madeby.google.com, and it specifically asks people what they want from their phones. A similar-themed billboard appeared in Boston in recent days, more or less confirming that the company will announce its 2017 smartphones on October 4. At the same time, a new handset from LG was recently approved by the FCC that could be a new Pixel model. Though the FCC documentation reveals no details about the handset itself, the FCC does potentially give away the name. The LG phone approved by the FCC this week carries the FCC ID of ZNFG011C, which is similar to that of the HTC-made NM8G011A. In this naming convention it is important to note that the first three digits are the manufacturer codes (ZNF for LG, NM8 for HTC) while the latter five digits (G011A and G011C) are the model numbers. 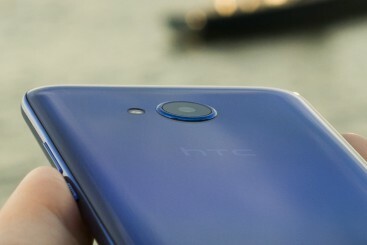 The HTC G011A, approved by the FCC in August, is believed to be a Pixel-branded device for Google similar to the HTC U11. The newly-approved LG G011C could be a variant of the LG G6 or V30, or a completely new handset. Google has relied on both HTC and LG to make Nexus- and Pixel-branded handsets in the past. HTC today said owners of its U11 smartphone will soon be able to customize the possible range of actions when using the Edge Sense squeezable side feature. According to HTC, users will be able to map the squeeze function to just about anything they can tap on the screen. Edge Sense is unique to the U11, which has pressure-sensitive side edges. Squeezing the phone calls up one of several different actions. Moving forward, people will be able to map their preferred actions to the squeezing behavior. The feature is being rolled out later tonight in beta through an update to the Edge Sense app.